Originally released officially on limited edition white vinyl. This release is the unofficial black vinyl copy that was bootlegged in 1992. The sleeve is photocopied, and both sides of vinyl have plain white labels. 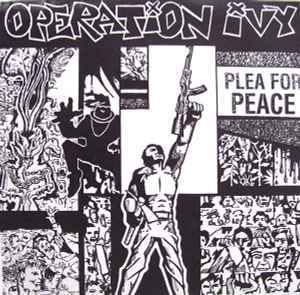 Side 1 cuts are from OPIV’s unreleased demo. It was recorded at the Gilman St. Project on 8/24/87 by Brian Edge. “Troublebound” is a Blasters cover. Side 2 contains two unused cuts from the "Hectic" ep sessions. They were originally recorded in November 1987 at Dangerous Rhythm in Oakland, and were engineered and mixed by Kevin Army. The tracks were produced by Kevin, Lint, & the CD in January, 1992.
where does this "Mom's Records" label come from ? I cannot find this find this name anywhere on the record.